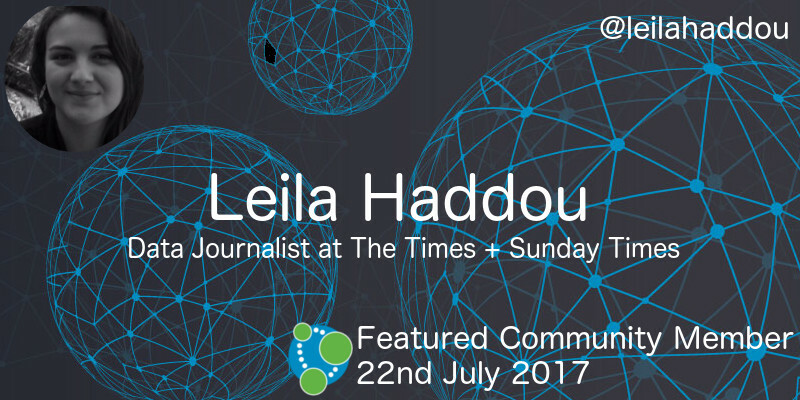 This week’s featured community member is Leila Haddou, Data Journalist for The Times and Sunday Times. Leila is a long time member of the Neo4j community and pioneered the use of graphs and Neo4j for investigative journalism while working for the Guardian. She’s presented numerous Neo4j tutorials to data journalists, the most recent being at The European Investigative Journalism & Dataharvest Conference in Mechelen, Belgium. Leila most recently participated in the Data Journalism in the Connected Age panel at GraphConnect Europe 2017. On behalf of the data journalism and graph communities, thanks for all your work Leila! In case you missed it, on Sunday the first episode of Game of Thrones Season 7 was released and we also launched our Game of Thrones Season 7 contest. If you create or publish graphy Game of Thrones content that uses Neo4j, graph visualizations, graph algorithms, combines datasets, or any other interesting variants, you’ll be eligible for our weekly GoT prize. Ruth Holloway has written the final two articles in her series on graph databases. She looks at how to install Neo4j and write some queries in the Neo4j browser, and then how to query the graph from a Perl application using the Neo4p driver. If you’re looking to getting started with Neo4j and Python, it’s worth taking a look at Nicole White‘s microblog application powered by Flask and Neo4j tutorial. Nicole walks through the process of building a graph backed web application step by step implementing both read and write queries and finishes by deploying the application to Heroku. Jonathan Freeman posted the slides and code from his talk 400 trash bags of grocery receipts + Neo4j. If you want to see an example of how to use Neo4j in practice, this is a great place to start. Ali Ismail, PhD Student & Research assistant-TU Dresden, shared the slides from his talk Application of graph databases and graph theory concepts for advanced analysing of BIM (Building Information Modeling) models. Daniel Escasa has been building a music database in Neo4j and has written a 3 part series in which he evolves the model and learns more about different Cypher constructs. Brant Boehmann, Sr. Software Engineer at Scripps Networks, shared the slides from his MDM & Data Governance San Francisco talk Applying Graph DB to Enterprise MDM. MDM and data integration are popular use cases for graphs and Brant explains how the model simplicity/flexibility and query elegance have worked well for Scripps. Simon Jupp shared the materials from his Importing lifescience data into Neo4j session at the Graph Databases in Life and Health Sciences Workshop in June 2017. Zhou (Joe) Yuan created DeepPhe-Viz which is used to visualise cancer patient summaries generated by the DeepPhe NLP tools. Neo4j is used to store the graph output of the tool. In this week’s online meetup Nigel Small gave an introduction to Neo4j Bolt drivers which were first introduced in Neo4j 3.0. We’ll be running a Neo4j drivers roundtable online meetup on Thursday, August 3, 2017 at 15:00 UTC where a few driver authors from the community will join us to talk through their experiences. We have a new section this week where we’ll take a look at some of the most popular questions asked on StackOverflow with the #neo4j tag. Afridi‘s question Cypher – Neo4j Query Profiling led to an interesting discussion about how the Cypher query planner works and how to interpret profile output. Abayob asks how to do Optional merge on relationships – and is introduced to conditional execution via another variant of the FOREACH hack! suryan had a problem spinning up a causal cluster on EC2 which eventually turned out to be an issue with the advertised_address configuration. On Wednesday, July 26, 2017, Laura Drummer will present Using Neo4j to Explore Topic-Based Communities in Social Networks at the Columbia GraphDB meetup in Maryland. Also on Wednesday, July 26, 2017, Nikolas Pontikos will present Pheno4J: A Gene To Phenotype Graph Database at the Neo4j London meetup. On Thursday, July 27, 2017, Niek Bartholomeus will present OpenTheBox – a full view of Corporate Networks in Belgium at the Neo4j Online meetup. 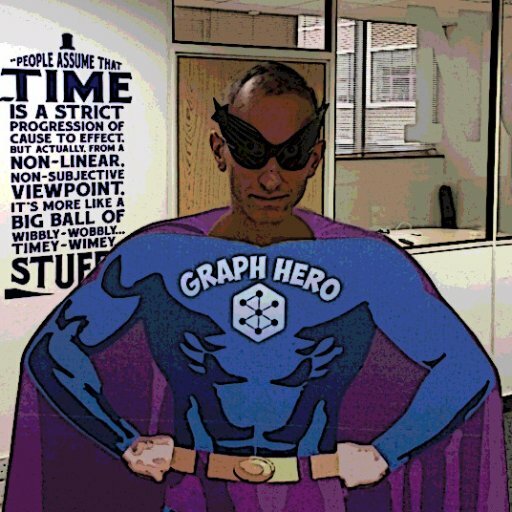 Also on Thursday, July 27, 2017, Dave Fauth will present an introduction to Neo4j at Philly GraphDB. I’ll make sure to link to parts 6 and 7 in the next one.